The Lake Vista Residences is one of the first townhouse complexes developed in the master-planned Lakewood Ranch (LWR). This neighborhood was established as a condominium community in 2006, a time when the real estate market was at its peak and demand was high in Lakewood Ranch homes for sale. 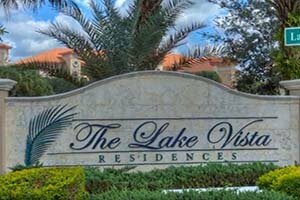 Lake Vista’s development, in fact, came on the heels of the successful market launch in 2005 of WaterCrest, also an upscale condominium community of multi-family homes around LWR’s 160-acre Lake Uihlein. Located west of Lakewood Ranch Boulevard just across the entrance to WaterCrest, Lake Vista was developed as a gated complex comprised of six mid-rise buildings. These structures are distinctive in their Mediterranean architectural style and provide three residential floors built over parking garages under each building. The quality of living in Lake Vista draws much of its appeal from the community’s idyllic setting of lush preserves, ponds and lakes. In addition to this refreshing environment, there are plenty of common facilities available in the condominium complex for the exclusive use of residents. To enhance privacy and security, a digital access system controls entry to the La Vista complex, and each of the buildings are served by a secured elevator lobby. The aesthetics of the entire enclave gets a further boost from the eye-pleasing pavers of Lake Vista’s entry drive and internal pathways conducive to leisurely walks. All Lake Vista condos for sale have preserve and/or water views. The home choices in this community include three floor plans ranging from around 1,700 square feet up to almost 4,000 square feet designed with two or three bedrooms. Pricing of available units in Lake Vista are typically quoted from around the mid-$200s up to the high $300s. Endearing in their panoramic windows, the Lake Vista townhouses are bright and inviting with their high ceilings, open floor plans, and spacious balconies. Also enticing to home buyers, these condos feature open-plan kitchens, breakfast nooks, stainless steel appliances, and Kohler bathroom fixtures. Just as delightful, the residences of Lake Vista are just a few minutes away from Lakewood Ranch’s Main Street which is home to shops, restaurants and a cinema. This virtual downtown of the master-planned LWR also hosts plenty of special events such as the Music on Main held the first Friday of every month. 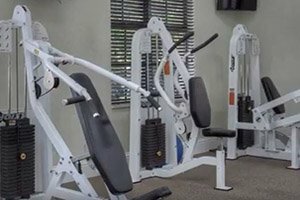 The healthcare facilities of Lakewood Ranch, golf links, and other sports facilities are likewise within easy reach from Lake Vista. LWR also boasts several parks and 150 miles of nature trails winding through woodlands and wetlands, ideal for hiking and jogging as well as biking. 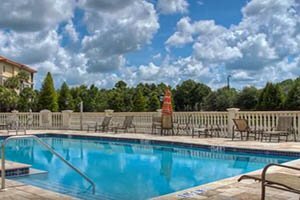 The nearby road corridors of University Parkway and Interstate 75 opens access to even more life and leisure activities for Lake Vista residents. Their choices of destinations include the Mall at University Town Center and downtown Sarasota as well as the Gulf Coast beaches that likewise help drive interest on Lake Vista condos for sale. Below are the current real estate listings available in Lake Vista.